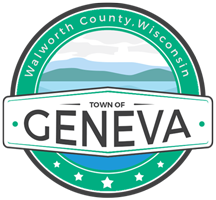 Please contact Town of Geneva Clerk/Treasurer Debra Kirch (262) 248-8497 for information regarding taxes, waste collection and recycling, dog licensing, voting and voter registration, Town Budget issues, human resources, Town Board Agenda and schedules, Geneva National Sanitary District, Town Hall meeting availability and scheduling, and all other matters not directly related to other Town Departments. For boat pier permits on Lake Como, contact the Lake Como Beach Property Owners' Association for slips on LCBPOA land (262) 249-1200, ext. 2 or Bernadette Moran (773) 315-7338; all other permit applications must be directed to the Lake Committee. The current Town Board Liaison for the Lake Committee is Mark Scerba (262) 949-6275. Sewer and Water issues within the Lake Como Sanitary District Boundaries must be directed to their administration office by telephone at (262) 248-2077 or in person at N3420 Dell Place. For burning permits, please contact the Town of Geneva Police Department prior to starting the burn. Factors such as current local wind and moisture conditions may cause a request to be temporarily denied so be sure to contact the Department for current instructions (262) 248-9926 during day shift office hours or (262) 723-3700. Discharge of fireworks is illegal throughout the State of Wisconsin including Walworth County and the Town of Geneva without a strictly limiting, insurance bonded and experience defining prior-issued permit which to date have only been issued to licensed professional fireworks display contractors and only by the Chief of Police as approved by the Town Chairman (see Town Ordinance No. 24 FIREWORKS). (262) 248-9926 during day shift office hours). How do I rent the Como Clubhouse? Contact the Clubhouse Manager at 262-249-1200, ext. 1.